Based in Muscat, Oman, Mark Evans is an experienced desert and polar explorer and guide, writer, speaker and wilderness advocate. He acts as a consultant in the fields of expedition logistics, risk mitigation and fund-raising. 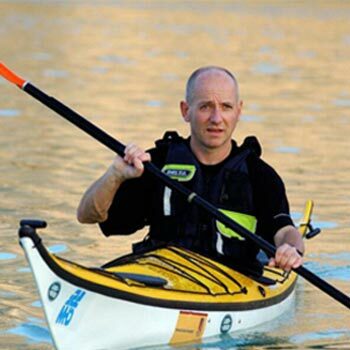 Twenty years spent living and travelling extensively in Arabia, backed up by 80 day camel expeditions, a 49 day crossing of the Rub Al Khali, a 55 day 1,700 km solo kayak journey from UAE to Yemen, and remote 4×4 journeys throughout Saudi Arabia and Oman, give Mark an unrivalled knowledge of the area. Mark’s entrepreneurial spirit has seen him play a leading role in raising more than 26 million GBP funding from corporate and government sectors in the past ten years for exploration and education. He is currently the Executive Director of Outward Bound Oman, the first and only Outward Bound school in an Arabic speaking country. A gifted communicator, Mark has written four books, and delivers thought-provoking, entertaining and engaging lectures to both public and corporate audiences all over the world; he speaks with passion and insight, whilst connecting bush to boardroom. His creativity in the field of outdoor education and youth development saw Mark recognised as a Pioneer to the Life of the Nation at Buckingham Palace in 2003. In 2004, to address the polarisation of cultures, Mark established the Connecting Cultures initiative, later recognised by the United Nations Alliance of Civilisations as one of the world’s leading civil society initiatives. In 2011 he received an MBE for services to intercultural understanding. His latest book ‘Crossing the Empty Quarter’ was published in December 2016.